Consolidate the coding process with theCoding Companion, your one-stop resource developed exclusively for those who code for neurosurgery and neurology services. This comprehensive and easy-to-use guide includes 2018 CPT®, HCPCS, and ICD-10-CM code sets specific to your specialty. Each specialty-specific procedure code includes its official description and lay description, coding tips, terminology, cross-coding to common ICD-10-CM, and relative value units. Getting to the code information you need has never been so easy. New — Code icons. Quickly identify new, revised and add-on procedure codes related to neurosurgery and neurology. Organized by CPT® and HCPCS procedure code. 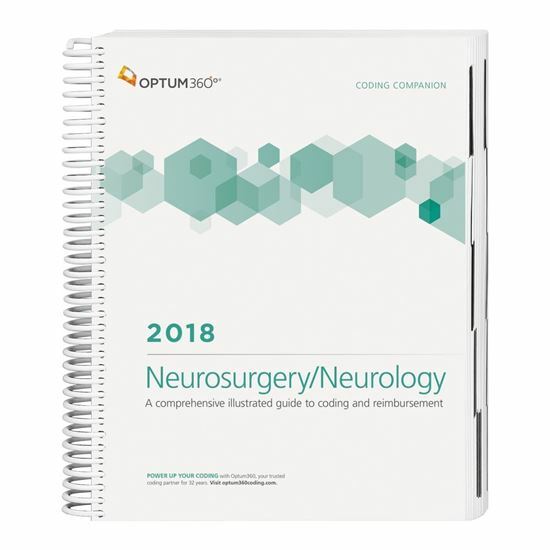 Essential procedures for neurosurgery and neurology are listed by CPT® or HCPCS procedure code, along with crosswalks to common ICD-10- CM diagnosis codes.